Store your clothes and belongings in relaxed vintage style when you welcome this chest of drawers into your bedroom furniture collection. 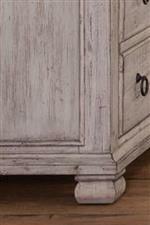 This chest features five large drawers constructed with expert techniques such as English dovetail joinery for strength and dust-proof panels to protect your clothing. 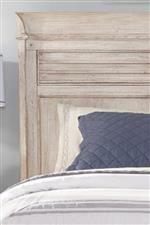 A distressed two-tone finish, turned feet and decorative molding further speak to this piece's shabby chic style. 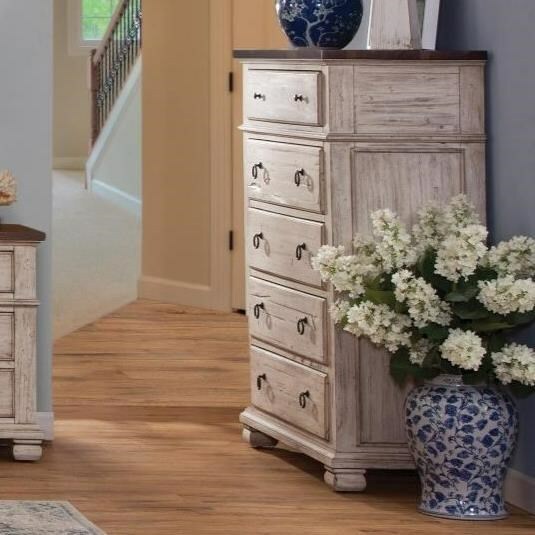 The Belmont Relaxed Vintage 5 Drawer Chest by Napa Furniture Designs at Zak's Home in the Tri-Cities, Johnson City, Tennessee area. Product availability may vary. Contact us for the most current availability on this product.